Item # 309913 Stash Points: 1,195 (?) This is the number of points you get in The Zumiez Stash for purchasing this item. Stash points are redeemable for exclusive rewards only available to Zumiez Stash members. To redeem your points check out the rewards catalog on thestash.zumiez.com. Perfect for when on-the-go or undergoing physical activity, Stance's Oasis Tab Ankle Socks provide moisture wicking performance and are knit with streetwear flair. 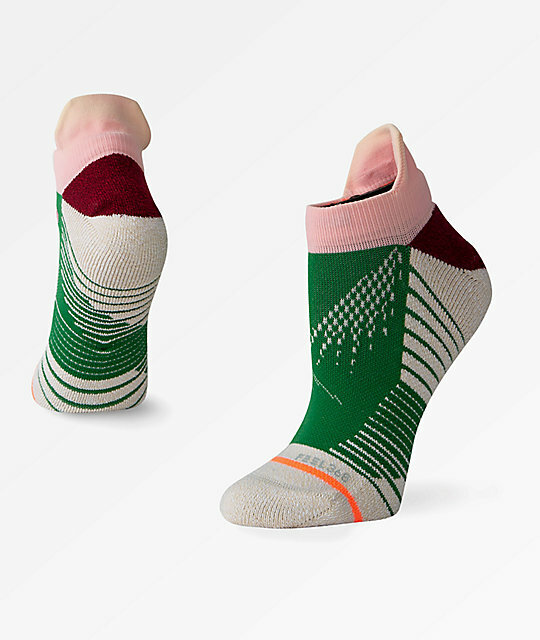 Engineered with the brand's signature FEEL 360 Technology, these socks have a breathable mesh construction that provides quick-drying performance, moving moisture away from your skin to help keep you comfortable under any condition. 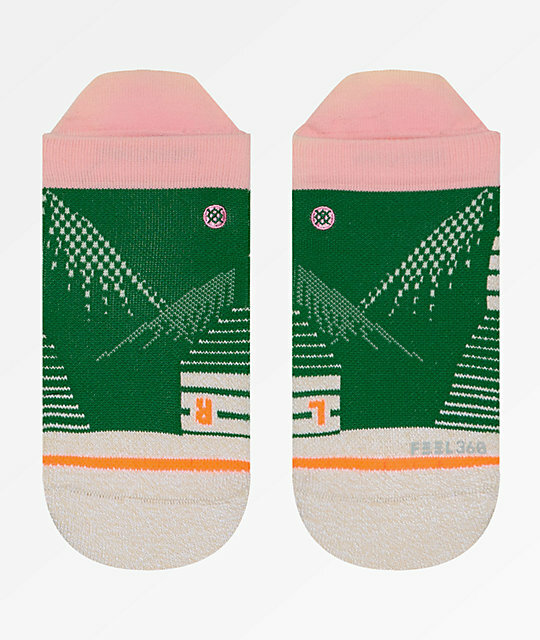 Oasis Tab Ankle Socks from Stance. 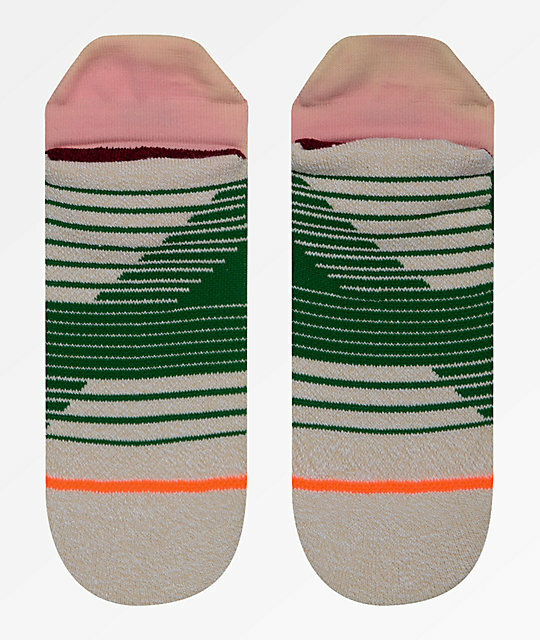 Tan, pink and green colorway. Jacquard knit stripes and geometric graphics.